The OTAM 80 is the flagship of the OTAM Millennium series and one of the fastest yachts of this size in the world.This 80 foot vessel reaffirms the OTAM commitment to style and speed. 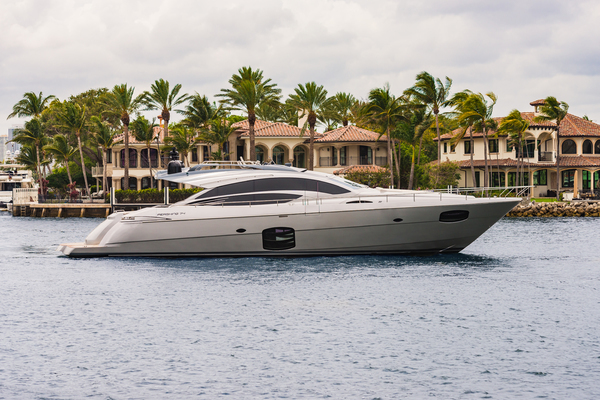 This beauty will stand out in any marina. Topside, we have an enormous interior cockpit with four helm seats, large wraparound guest lounge with table, and huge sun lounge exterior. Dark wood Floors accent the white upholstery and trim. The luxurious interior with spacious salon, full galley, and three private staterooms offers comfortable accommodations for extended cruises. As you come below you find a large, bright, and airy salon, leather upholstery, and warm wood tones. The galley is with stainless countertops and state of the art appliances. A custom Bose stereo system provides music for the salon and cockpit. The deep V hull and 2 x MTU 2600hp with Arneson ASD 15 with a max speed of 50 knots or 4 x MTU 1622hp with Trimax surface drives at a max speed of 54 knots provide for excellent maneuverability and seaworthiness. The engine compartment is expertly insulated to provide a quiet and comfortable interior. The resulting design has providedOTAMwith a yacht that has an incredibly smooth and responsive ride. Vessels & Photos featured are examples of the fully custom OTAM yachts delivered to happy clients. No single OTAM is equal to another. Fully custom to your taste & desires. United Yacht Sales New Jersey would love to guide you through a personal showing of this 80' Otam Millennium 2019. 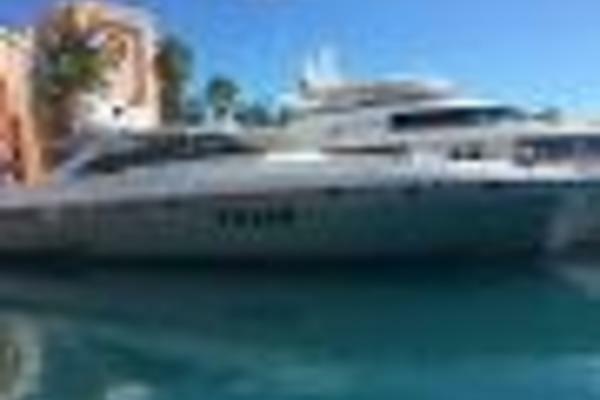 This yacht for sale is located in Fort Lauderdale, Florida. For pricing details or a showing please contact us by filling out the form on this page and we will get back to you shortly!